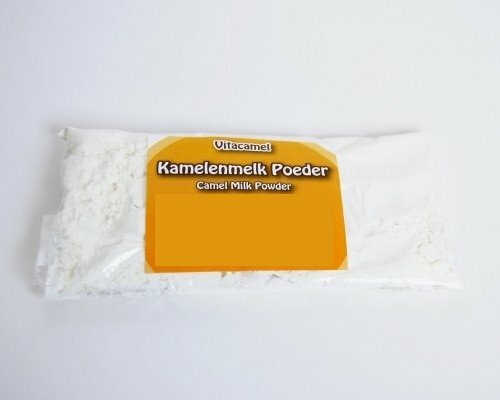 Camel milkpowder is made of 100% natural camel milk. The milk is spray dried and due to this way of processing, all nutritional values ​​and properties of the fresh camel milk are preserved. The milk powder is as healthy as fresh milk but it is easier to store and transport. In a dry place, the powder is preservable for 1 year. The powder comes in portions of 80 grams, what is good for 4 glasses of milk. If you are satisfied with this product, you can order the powder in a sealed plastic bag or plastic jar of 420 grams. This has a better rate. You can order it here. 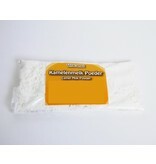 If you don't like the taste of the milk powder you can also order our milkpowder with a fresh vanilla bean.